It is never a good idea to open with a declaration of love. Never. But, wow, Penelope Fitzgerald. She so good… I go goo-goo eyes reading her. I first heard of her in a Julian Barnes collection of essays about writers called Through the Window. She sounded very cool. She didn’t start writing till she was 63 (very appealing to someone starting writing later in life), and seemed quite the eccentric character given his anecdote about being on a writers’ panel and riding the Tube with her. And she wasn’t short of ideas or limited in scope. All the novels he talked about were interesting and diverse, ranging across the world and time. She won the Booker Prize in 1979 for Offshore, and The Blue Flower, set in 18th century Prussia, was ‘the most-loved novel of 1995’. I so wanted to read it. But, somehow, she was absent from my local library. How could this be? She seemed great. Indeed, The Times had her in the top 50 British novelists since 1945 and The Observer placed The Blue Flower in the top 10 historical novels of all time. There was, however, her posthumous collection of short stories The Means of Escape available. I hadn’t read a collection of short stories in quite a number of years (a bit shameful, but I’m clearly not alone given the poor sales of collections). But I wanted a taste. It’s such a lovely, slim object crafted with care (the books and the stories). Like her novels, they take place all over the world (including New Zealand!) and go back as far as the 1600s. 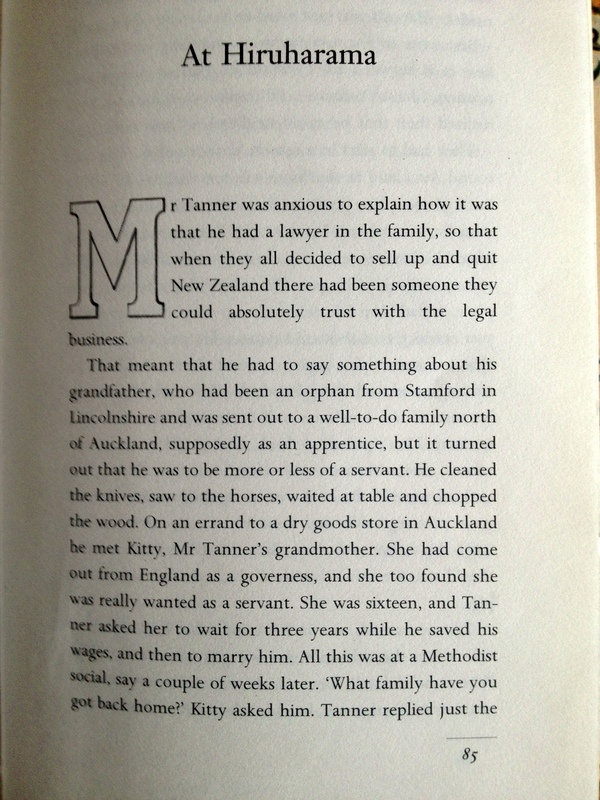 The start of the story set in ye olde New Zealand. I must say that I finished most of the stories going ‘what happened just then?’ but it wasn’t due to obscurity…she’s just so good she lulls you into a complacency where the real story can slip by. I read several stories more than once. I want this book. I want to hold it and look at it, to re-engage and delve deeper into her world. I want to read these stories again and again. To underscore how smitten I am, I read a couple of Julian Barnes short stories after I finished Fitzgerald’s collection and boy were they unsatisfying, which is significant because I’m a HUGE fan of his novels and essays. So…what to do? TradeMe has the books new (but The Means of Escape ships from Oz). Amazon has them much cheaper, but it seems nuts getting them from across the Pacific. It’s hard to be patient when you’re in love. But a hasty heart is always disappointed. If I get through the day without buying these two books I’ll be surprised. This love will not wait. This entry was posted in Fiction and tagged fiction, historical fiction, julian barnes, literature, love, penelope fitzgerald, reading, the blue flower, the means of escape, writing on September 7, 2013 by Kambl. My First Blog: a blog on blogging. Or… to blog or not to blog? I have been attempting to blog for some time. In fact, I have been doing more than that, I have been telling people I intend to blog after years of continually responding to those who ask me if I have a blog that I have no intention to write one… as I am a writer. Yes, I know all writers are expected to blog but I’m a writer of fiction who follows the school of thought shared by Mike Johnson on the last writing course I attended 10 years ago (yikes!). “Confucius say, very hard to pour spilled water back into jug.” (Yes, he said it with a comic accent… as I do as I write it). The point being, the more you talk about something (whatever accent you use) the less likely you are to do it. Of course, the opposing view can be made that the more you talk about something the stronger your commitment is to realizing the activity, or action, through the engendering of peer pressure. While that might work with giving up cigarettes or taking up exercise, with fiction (or any creative activity) the danger is that the precious energy that goes into getting the story on the page is dissipated into hot air. Or, even worse, some fool will respond to your ideas by trying to poke holes in them before they are fully formed. Even more deflating is the blank response of those who don’t share your excitement. Some journalists, in particular, often fail to understand this danger, under pressure as they are to make the fish & chip wrappers of tomorrow. However, writers who care about craft aren’t just typing. They need the words and ideas to stand up to more than the passing scrutiny of the moment. Maybe some are happy to talk about what they are trying to wrestle out of their brain but there are good, practical reasons not to subject unformed ideas to such threats before they are able to stand up. Would you pull a baby from the womb just to show it off, to see if it was pretty and strong? I once saw Ariana Huffington, the queen of blogs, try to convince Jon Stewart on the Daily Show to start blogging for her. He laughed and put a similar argument to the one I am making. Aren’t blogs first drafts, the things you do on the way to making something fully-realized…the stuff you ultimately throw away? He is a writer who sits in a room full of writers sharing the ideas they have worked on by themselves, deciding which ones deserve working-up until they are strong enough to see the light of day. 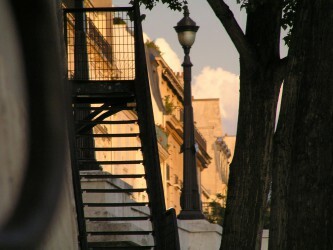 Blogs seem to be something you toss off for the thrill of the moment. Ariana said, no, they are about the heat of that moment, that is their point (I guess that is why so many blogs are about self-stimulation or merely lonely grizzles). For me, here has to be something more. And there are many, many good blogs. My favourites, with the most meaning, are by friends. But if they’re just on an on-line journal or diary… well, I have been writing in journals and diaries for decades (all of my, rants, fears, grizzles, stories, songs, letters, ideas, sketches, doodles, portraits, music videos, poems et al. start, or end, there). But they are genesis, not genius. A starting point that needs hard work to become meaningful to others. There lies the conundrum for me. If it could be something very good, like fiction or memoir, then you risk cutting its (or your) throat as most publishers won’t look at anything that has appeared somewhere else. There is also a more base reality. I love Ariana but she wanted Jon to write for nothing (as bloggers do). That’s how she makes her money. Jon makes his living off writing. She would be making $$ from his craft (and celebrity) by pilfering his ‘voice’. Such is the bind for writers who are expected to blog if their work is to be published. While I call this my first blog, it is my actually my third. My first attempt last Friday (a reaction to a simple cartoon a friend put up on Facebook) sprawled to 2, 600 words covering history, imagination and philosophy. It is as an essay I am proud of, but it is probably a bit daunting to put up here as a first blog. My second attempt yesterday (a memoir about the death of Elvis 36 years ago, today) is threatening to turn into my first short story in over a year. I was composing prose for it as I woke up this morning (something that hasn’t happened in many years). So this, for better or worse – a blog about blogging – shall be my first blog (even though it is my third). I wrote it straight out of bed this morning after a night of insomnia (which has been going on for months) where, after waking at 1am, I read 2 short stories by Penelope Fitzgerald (an author I have only just heard about, gee she is wonderful). But as I still could not sleep I got up at 2am to re-watch the latest episode of Breaking Bad (such compelling story-telling, so beautiful, so wonderfully acted. 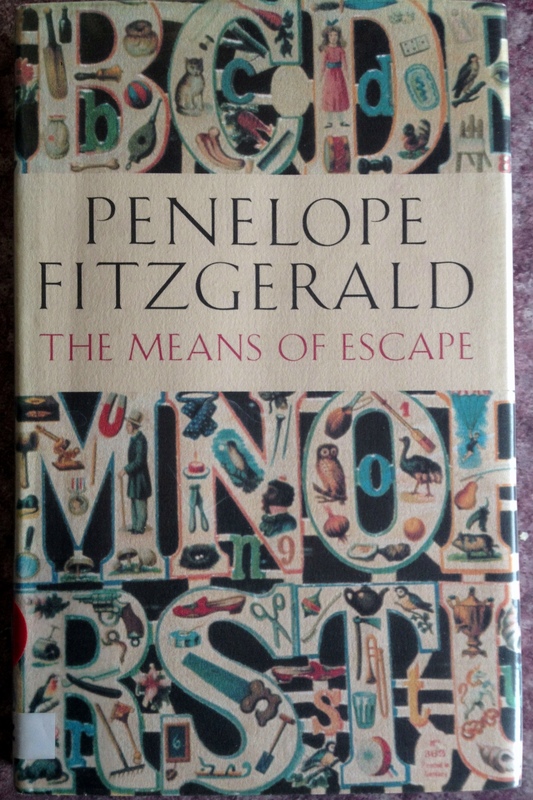 And, like Penelope Fitzgerald, totally inspirational). My thoughts may be a tad messy or manic as a result. If you’ve read this far, I thank you for your time and interest. Shortly, I will add links to my published fiction and less wordy stuff like my music videos and photos. It’s nice to have a place to put them other than the box by my bed, or the corners of my head. But for now, it is time for coffee and breakfast, and to maybe finish the first 2 blogs, if it is possible. This entry was posted in Blogs and tagged blogging, literature, writing on August 16, 2013 by Kambl.